There are 3 coins in the new Isle of Man series: Millennium Way – GOLD, Manx CacheFest 2015 – SILVER and Heritage Power Trail – BRONZE. 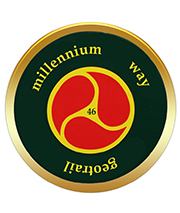 Millennium Way Geotrail Geocoin. £9.00 A VERY limited supply is available for direct sale. *To order see below. The Millennium Way was developed to celebrate the Manx Millennium in 1979, the 1000th. anniversary of the establishment of Tynwald, the Island’s Parliament. There are 46 geocaches along its route from Ramsey to Castletown. This commemorative coin is trackable on geocaching.com and has its very own custom icon. ManxCacheFest 2015 Geocoin. £8.00 There is now only a VERY limited supply available. *To order see below. 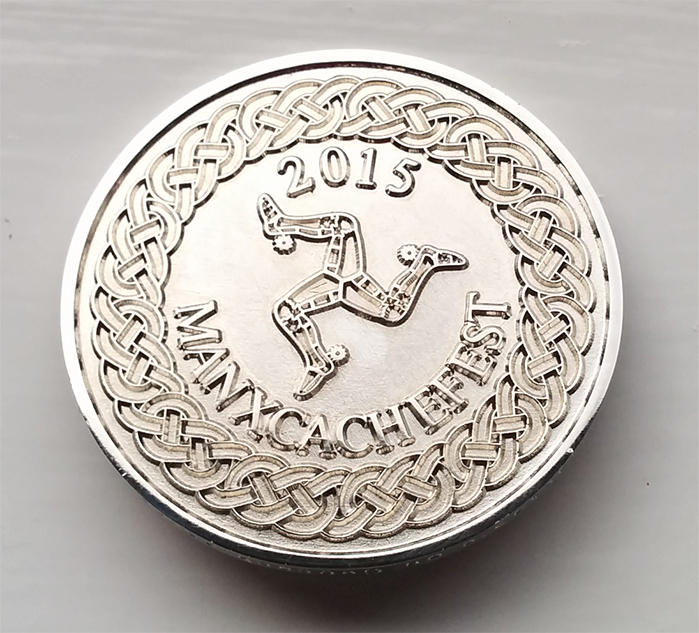 A very limited edition geocoin to commemorate the ManxCacheFest in 2015. The geocoin is trackable on geocaching.com and has its very own custom icon! Heritage Power Trail Geocoin. This geocoin is available for sale from The Welcome Centre at the Sea Terminal, Douglas, Isle of Man. This geocoin commemorates the first Power Trail to be set in the Isle of Man. The Heritage Power Trail covers a distance of 10 miles from Peel to the Quarter Bridge near Douglas. This is a very popular walk for locals and tourists alike and well worth doing by Geocachers just for these caches alone, as well as the beautiful scenery and interesting pieces of railway memorabilia along the route. 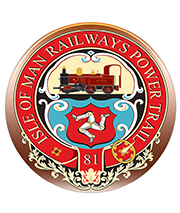 The coin bears the old insignia of the Isle of Man railways and is trackable on geocaching.com and has its very own custom icon. *How to order. Just send an email with your requirements to mail@manxgeocaching.com or a message using the Contact Us form. We will get back to you regarding how to pay for your purchase and with the post & package costs. All proceeds from sales will be used towards future geocaching projects/events on the Isle of Man.